I was so excited that Lucy agreed to be a guest here. I had read her other series and enjoyed them so much. I am so happy she is back with a new series and here today to tell us a little bit about it. 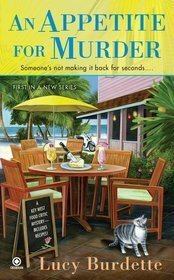 Many thanks to Lori for inviting me to talk about my brand new Key West food critic mystery, An Appetite For Murder, written by Lucy Burdette (formerly known as Roberta Isleib.) I’m truly thrilled to be joining the ranks of other culinary mystery writers, including the renowned Diane Mott Davidson. (I have to brag a little–her blurb is on the front cover of my new book!) So I thought it would be fun to talk a little about food, glorious food, as they sang in Oliver! Anyway, I don’t think I’d like to be a food critic in real life–when I go out to eat, I like to choose what I feel like eating, not what I think other folks want to hear about. And there are places where I’d draw lines that my character Hayley Snow, cannot. For instance, tentacles. Raw fish and meat. Slimy things. Like that:). That said, all the restaurants in the book really exist in Key West and I’ve had wonderful meals in each of them. The only fictionalized establishment is the one Hayley visits in Miami Beach. I suppose if she’s going to start writing bad reviews or if someone is actually poisoned in a future book in a restaurant, I’ll have to do more inventing. I so hope you all enjoy An Appetite For Murder –would love to hear your feedback! Thank you so much for being here today. Don’t you just love Miss Piggy!!! Haley Snow leaves New Jersey to follow the man of her dreams to Key West, Florida. Things don’t go as planned when Hayley learns she’s not the only woman in his life. She is determined to stay in Key West and since her entire life has revolved around food, cooking it, eating it, and writing about it, she decides to apply to be the food critic for a brand new magazine. Sounds good until Hayley learns her new boss would be the other woman in her ex-boyfriend’s life. Things get crazy when the police show up at her door to question her about a murder. The other woman is dead and Haley’s career as a food critic could be over before it has even begun. Key West – Paradise – The perfect setting!! for mystery and mayhem!!! Lucy Burdette weaves us through the streets of this small island, a popular tourist spot, and a place loved by both Ernest Hemingway and Tennessee Williams. Key West’s culinary influences and offerings are as diverse as its population. Hayley has a variety of eateries to critique. I have absolutely fallen for this character. I want to be this character. Even with the suspicion of being a murderer. She lives in a beautiful place, has wonderful friends and even lives on a boat. Her days are filled with eating yummy food, visits with chefs, a cat herder, a tarot card reader and did I mention she lives on a boat! The mystery is divine, it is perfectly paced and the ending is a surprise. I have an appetite for much more from Lucy Burnette and the awesome life of Hayley Snow. This is very delicious debut of what will definitely be a delectable series. I read your advice column mystery series and really enjoyed it. I’ve been looking forward to reading An Appetite for Murder since I first saw the cover last year. I’m always looking for a new series to start and this one sounds perfect: food and mystery. 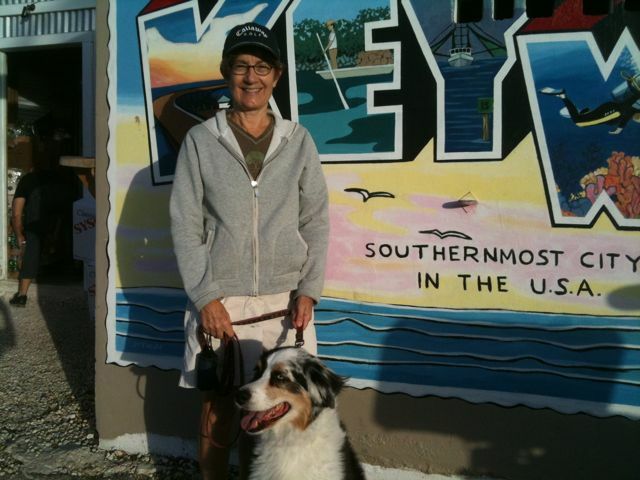 Lucy, I absolutely love Key West and cannot wait to read your book. Food and mysteries – I’m there! Can’t wait. Thanks for the great giveaway! An Appetite For Murder seems like it’s going to be a great read! Having been to Key west many time but hardly ever eaten there I will love to read about the resturants. I love mysteries with food!! Sounds like a great start to a new series. And I love the setting! I don’t think I could be a food critic either because I like to order what I want too. It sounds like a fun job though. The book sounds really interesting. Follow a man to Florida but he is already taken and she is your boss! Lots of drama. I wonder who killed her? Thanks for the giveaway! A new series! YAY! I love series! And a new to me author – gotta love it! I’ve never been to Key West – would love to read about it, and find out who the killer is!! I’ve been a fan of this author for a VERRRRRY long time, and as a chef (yes I cook for private parties) I love asking people if they like the meals I’ve prepared. Heck, I have an adopted son who is a C.I.A. graduate baker. I would love to win a copy of “An Appetite for Murder” to add to my private library. I’m hungry for a good book, this sounds like an appetizing story. Not sure I could ever be a food critic either, but I love the sound of this. Hi Lucy- I am a foodie and love to eat and read about it. Living in FL and reading about it is great too. Since this book is written near/in Key West. Do you plan to write about other cities in FL- say for a road trip or keeping it local in Key West? Congrats on the release. 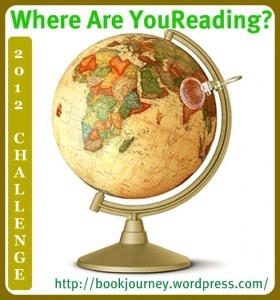 Adding your book to my TBR list. Oh- I would love to be a food critic- I will try anything once 🙂 I would have a hard time being a judge on Iron Chef- some of the secret ingredients. Anyways. Food- and mystery- in Key West. . .sounds awesome. 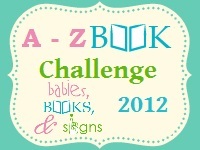 I read a variety of books and would love to become a fan of a new-to-me author! Sounds like a fantastic new series! As a former Florida resident, I love Florida settings. what a cute cover. Your book sounds wonderful. I love food focused cozies! This sounds like a great new series. Looking forward to being introduced to a new series, thanks for sharing and good luck on the new release. This sounds like such a great food cozy series. I don’t particularily like to cook but enjoy all the food network shows and reading the food cozies. Have added your advice column books to my wish list. This sounds like a great series. I love food cozies and, of course, mysteries! I love a mystery and food! Thanks for the giveaway! Lucy….I find it fun that you enjoy everything about food! Also…that all the Key West restaurants in the book really exist. Thanks for the giveaway. Lucy, it looks like a great story! I love discovering new mysteries! And I agree with Dollycas–disappearing into Key West even via book sounds great as a cold winter wind finally blew across Mn today! Lucy, sounds like another great cozy series starting here. Can’t wait to read it. congrats & good luck to Lucy!!!! i can’t wait to read your book & from the get-go!!!! 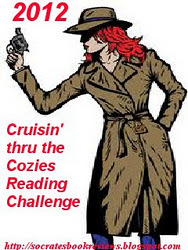 I enjoy cozy mysteries and I would love to read your book. You are a new author to me so I will be looking for your other books now. I never got to go to Key West when I lived in Florida, but I always wanted to. Nice setting for a story–definitely sounds like a good one to check out! I love Key West! This sounds like a great Cozy read! I would never be a food critic because I would probably be shoot! I love Key West so I know I would love this book. Just reading this post makes me long for a balmy winter day in Key West with a pina colada reading a good book – perhaps An Appetite for Murder – ummmm 🙂 Thank you for sharing with us today and for the lovely giveaway opportunity. this looks awesome~ and i LOVE key west! best place ever! and i love food mysteries.. i think this will be a win win all around! i hope i win! I do enjoy stories that have food in them. Breach of Trust by David Ellis Blogoversary Day 1 Winner! !